Endometrium, a heterogeneous tissue lining the uterus, is highly dynamic and exhibits marked cyclic changes during the menstrual cycle. Any aberration in endometrial physiology would lead to diseases like endometriosis, endometrial polyps, hyperplasia and endometrial cancer. The pathogenesis of endometriosis includes the proliferation of heterogeneous endometrial cells and their invasion into ectopic sites within the peritoneal cavity. This may be due to abnormalities of the eutopic endometrium itself, predisposing the cells to survive and implant ectopically. 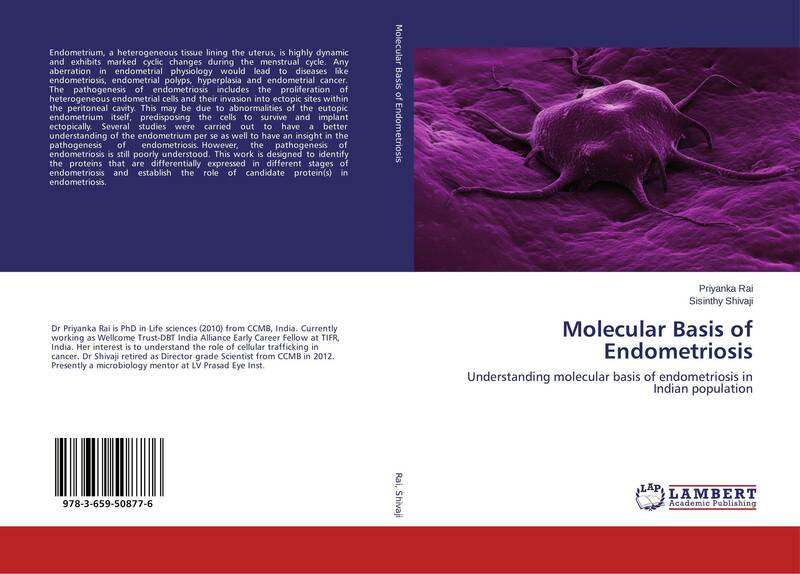 Several studies were carried out to have a better understanding of the endometrium per se as well to have an insight in the pathogenesis of endometriosis. However, the pathogenesis of endometriosis is still poorly understood. This work is designed to identify the proteins that are differentially expressed in different stages of endometriosis and establish the role of candidate protein(s) in endometriosis.